Kim Ahlstrom is a good friend of Tofugu and the creator of the esteemed online Japanese dictionary Jisho.org. Through maintaining Jisho, Kim has naturally become a Japanese dictionary nerd, and thus one of the best people to talk to about the subject. 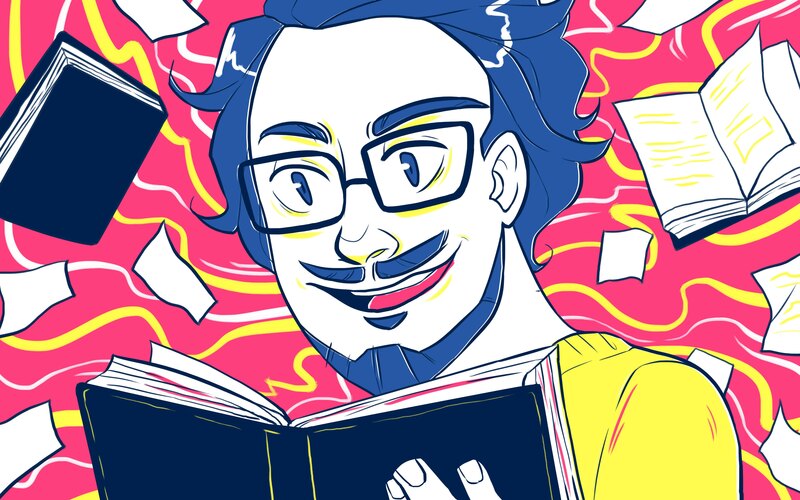 We wanted to know about the best Japanese dictionaries for study, and Kim Ahlstrom did not disappoint (I did say Kim was a Japanese dictionary maniac, right?). Take it away, Kim! Collecting Japanese dictionaries has become, in my wife's words, an obsession. I like to see how different dictionaries approach different things: design, words included, explanations, and target audience, to name a few. Each one has its own personality, built by different editorial processes and individual writers. This makes dictionaries a fun way to gaze into the Japanese language from different perspectives. Dictionaries are also an important part of my study routine. I read and listen to things that interest me, writing down words and grammar I want to study later. Then I look up each word in different dictionaries to get a wider sense of the meanings. Rinse and repeat. You can also use this method, even if you only have a few dictionaries on-hand to compare and contrast your amassed vocabulary list. But you don't want to just add random Japanese dictionaries to your Amazon cart. You need to know which ones are best for what uses. Good thing you have this article! I should say, this is by no means an exhaustive list of the best Japanese dictionaries ever, but rather these are the ones I find myself reaching for most often (or simply ones that are the most fun). By the end I hope you're inspired to dive into the wonderful world of Japanese dictionaries yourself. Can you guess what my first stop is when looking up words? However, even though I made Jisho, I will use types of dictionaries as well. This allows me to get a more complete picture of a word's meaning and usage. For example, using both a kokugo 国語（こくご） (Japanese-Japanese) dictionary and a waei 和英（わえい） (Japanese-English) dictionary can provide more context on how a word is used. Even different dictionaries of the same type can give you multiple perspectives. Before we get into the list of dictionaries below, let's make sure you understand the most common types of dictionaries. 国語（こくご） Japanese-Japanese Kokugo 国語（こくご） generally means "national language" but is often used to refer to the Japanese language. 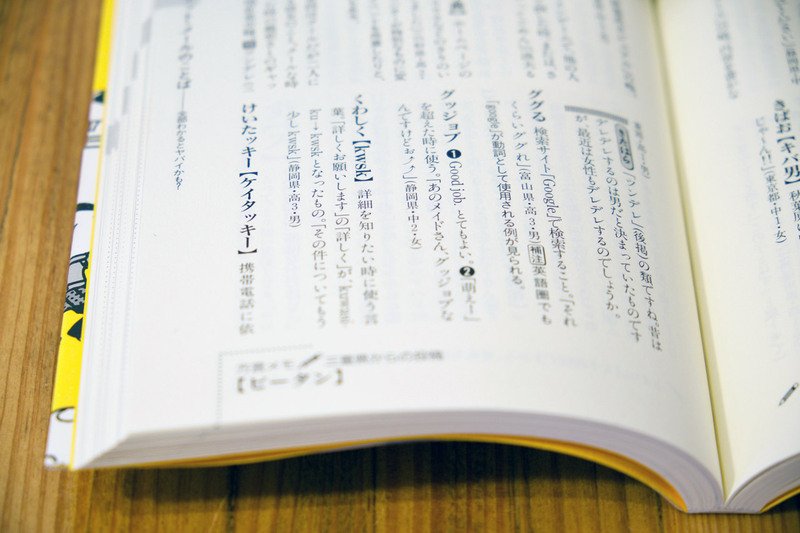 A kokugojiten 国語辞典（こくごじてん） is a dictionary of Japanese words explained in Japanese. 英和（えいわ） English-Japanese Eikoku 英国（えいこく） is a common way to refer to England in Japanese. 和（わ） is Japan. Hence, eiwa 英和（えいわ） is "English-Japanese." In these dictionaries the headwords are in English and the explanations are in Japanese. 和英（わえい） Japanese-English Surprise, it's the opposite of 英和! Headwords in Japanese with English explanations. Jisho is a waeijiten 和英辞典（わえいじてん）. 漢和（かんわ） Kanji (Japanese) 漢（かん） refers to China, so this is the name given to dictionaries that explain kanji and kango 漢語（かんご）, Sino-Japanese words. 漢英（かんえい） Kanji (English) Kanji dictionaries with explanations in English. 類語（るいご） Thesaurus A thesaurus lists groups of related words, like synonyms and antonyms. In addition to the types above, dictionaries can vary in other ways. For example, target audience (native speakers or learners, kids or adults) and how they explain the headwords (simple translations or longer explanations). When choosing a dictionary it's important to consider these aspects to make sure it suits your particular situation. 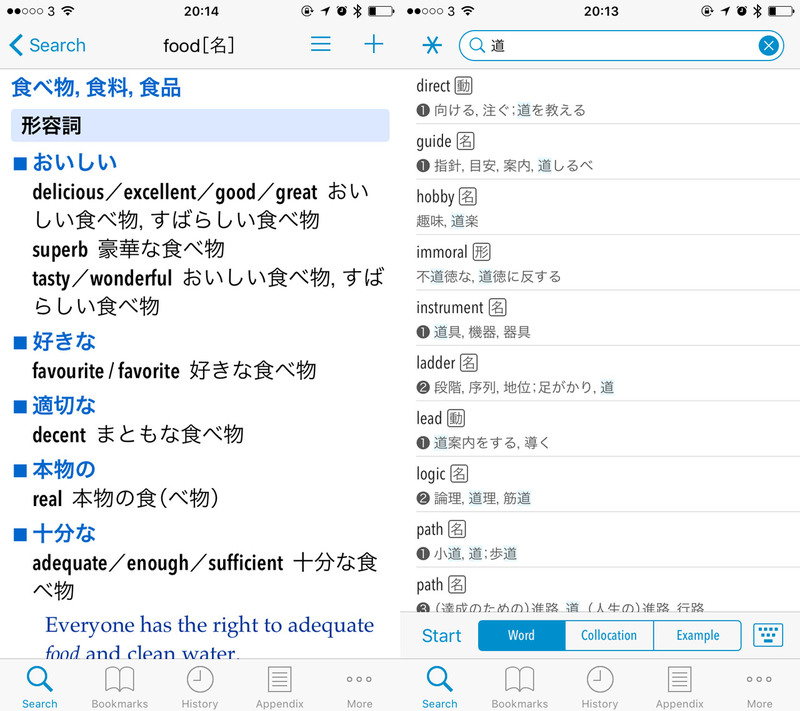 The best Japanese dictionary is the one you can always carry with you, so I'm starting this list with a few good Japanese dictionary apps for your smartphone. These are usually what I turn to first, after consulting Jisho. Several of these are available on multiple platforms from different vendors, so check your device's app store for availability. All of them are also available as physical books, so keep that in mind too. This is a bundle of two dictionaries, English-Japanese and Japanese-English. You get headwords in both languages with explanations and translations in the other. This makes it better for looking up what an English word is in Japanese compared to Japanese-English dictionaries like Jisho. 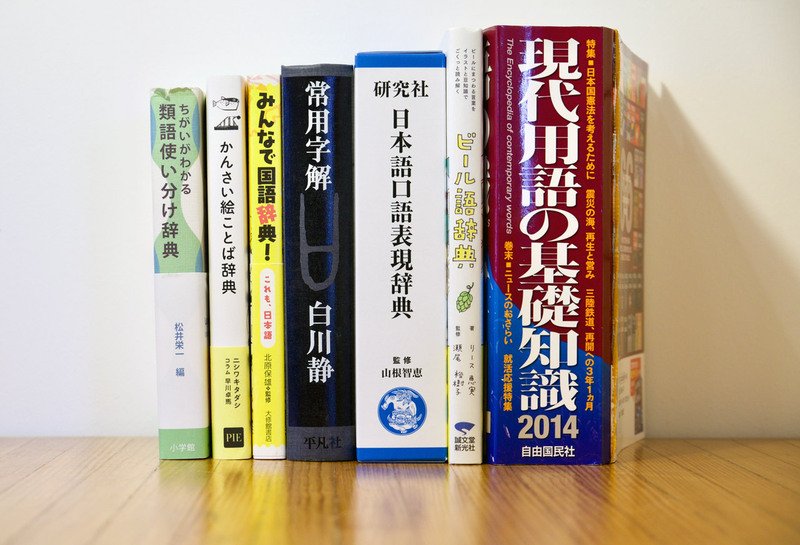 It's marketed towards Japanese speakers, but it's a great resource for Japanese learners too. The explanations are clear with example sentences showing how words are used in context. For some Japanese headwords you also get collocations that show what particles and words go with the headword, complete with English translations. I also really like the layout of the entries in this app. The way they use colors makes it easy to find your way around. The latter can take a bit more work to understand if you've just reached intermediate level, but it's a great way of picking up grammar patterns. If you have a Mac with OS X 10.8 or later you can also find this dictionary bundled in the built-in Dictionary application. If you like shopping around (and nothing is more fun than shopping for dictionaries) I also recommend checking out the jiiniasu eiwa/waei jiten ジーニアス英和・和英辞典（　えいわ・わえいじてん）. This is a really cute Japanese dictionary! It's a digital adaptation of a 国語辞典 (Japanese to Japanese dictionary) originally intended for elementary school kids and a great first step into native Japanese dictionaries for intermediate level students. The selection of words is smaller than a regular dictionary, but the explanations are clear and simple. And the kanji come with furigana so you don't have to look up the reading of the words in the explanations. This makes it very handy for looking up words in another Japanese-English dictionary because you won't have to figure out the reading on your own. 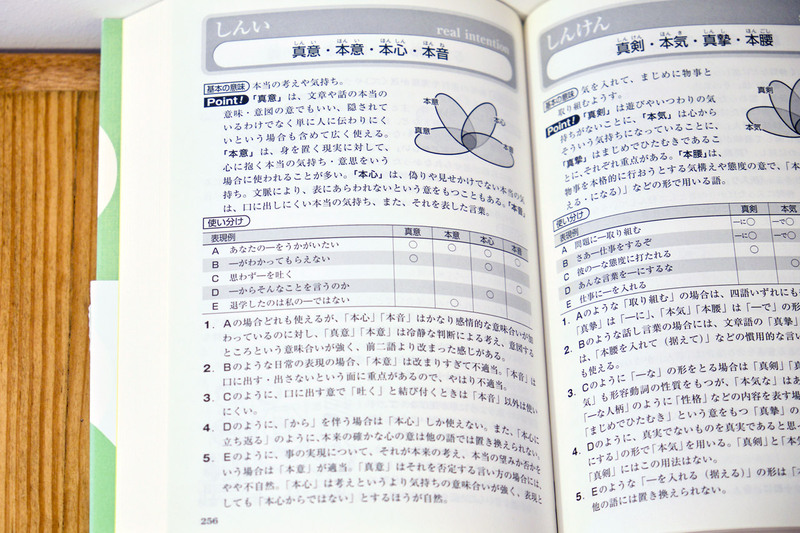 It also comes with a basic kanji dictionary that covers everything Japanese kids learn in elementary school. Because the explanations are all in Japanese, you're going to struggle a bit at first. It might take a long time to read a word's explanation because you'll have to keep looking up the words in the explanations themselves. But it's well worth the effort and a fantastic way to practice your reading ability. Another thing I really appreciate about this app is it comes with a way to browse by categories like "important words," "expressions," "four character compounds," and "part of speech." This is a fun way to explore the language and learn new words and expressions at the same time. As if all that's not enough, take a look at the screenshot above. They even use a kyoukasho 教科書（きょうかしょ） font, the kind you see in school textbooks. It makes the dictionary feel like an immersive learning environment. The one downside with this app is it's only available on iPad. I would love to see it on iPhone and Android as well. At least you can get it as a physical book. When you're ready to move beyond dictionaries for Elementary school kids, this is a fantastic choice. 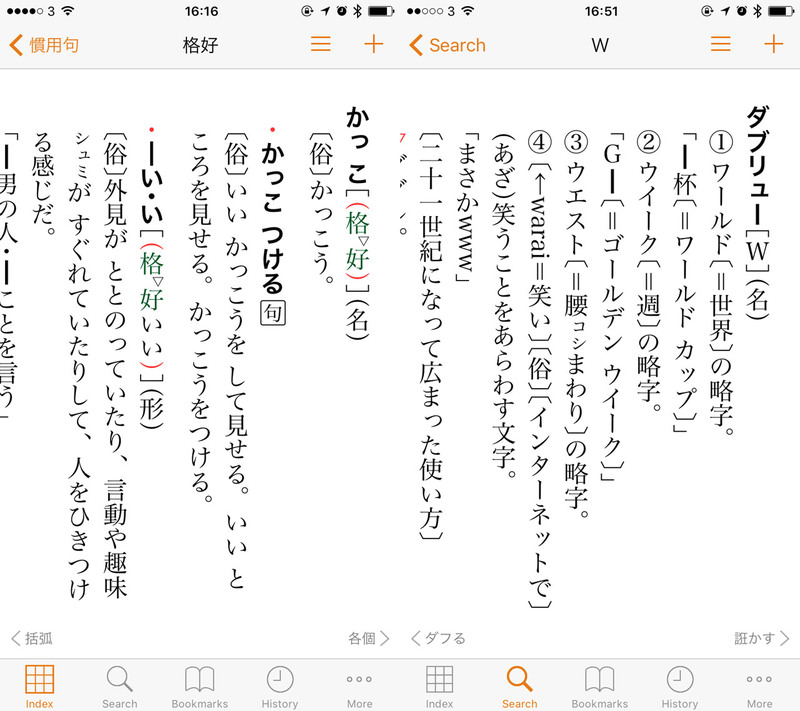 There are other good 国語 dictionaries available as apps, like Shinmei Kaikokugo Jiten 新明解国語辞典（しんめいかいこくごじてん） and Meikyoukokugo Jiten 明鏡国語辞典（めいきょうこくごじてん）, but the explanations in 三省堂国語辞典 are clearer and easier to understand as a non-native speaker. The layout of the entries is easy to grasp. The main definitions of a word are listed under encircled numbers, with example sentences to the left in Japanese quotation marks「」. Some entries also show derivative words and expressions using the headword, shown in the left screenshot above. What I really love about this dictionary is it focuses on the contemporary usage of words, and includes many examples from newspapers, pop culture, and the Internet. 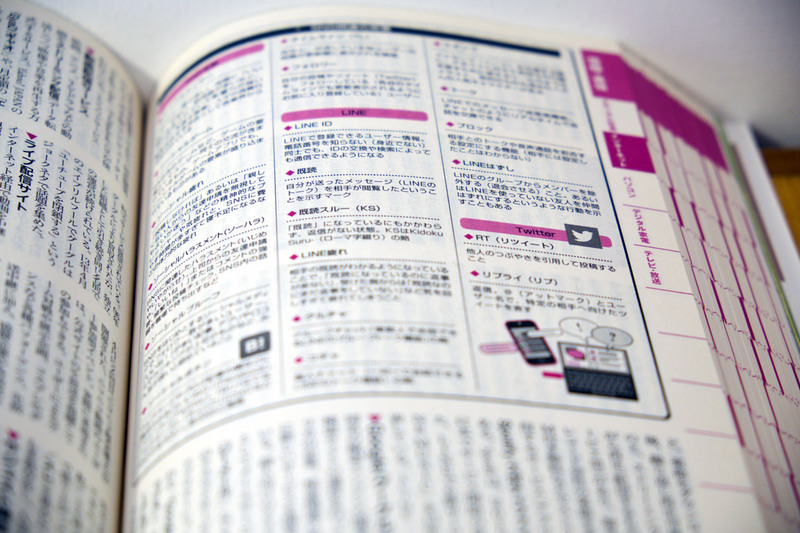 This is one of the best Japanese dictionaries because it focuses on the contemporary usage of words, and includes many examples from newspapers, pop culture, and the Internet. It's also quick to include new words, like riajuu リア充（　じゅう） (someone who has an active life outside of the Internet), and new usages of existing words. For example the entry for W (だぶりゅー) explains how it can be used to express laughter online. It was published in 2014 so it's more likely to include the latest words. Just like Koichi, I am a big fan of studying collocations to improve my Japanese. This book is the Japanese translation of the Oxford Collocations Dictionary for Students of English. It's intended for Japanese people studying English, but it also works really well for Japanese learners too. A collocation dictionary is helpful when you know a word but don't know how to use it with other words. For example let's say you know the Japanese word for food, tabemono 食べ物（た　もの）. But how do you say "cook food," "staple food," "food market," etc? You just learned several new ways to use your target word (along with several other words). The entries are grouped by part of speech and theme, so you can find similar expressions right next to each other. All the collocations are in English with Japanese translations, which are sometimes collocations themselves and sometimes single words. I'm a big fan of the entry layout in this app because it's so easy to read. It's only got 2,500 English headwords, so you won't find anything obscure here. But with over 145,000 collocations there is plenty to learn. If you are looking for a dictionary for Japanese collocations, instead of translations of English collocations, then Shitteokitai Nihongo Korokeeshon Jiten 知っておきたい日本語コロケーション辞典（し　にほんご　じてん） is a great choice. The above apps are all made by monokakidou 物書堂（ものかきどう）. 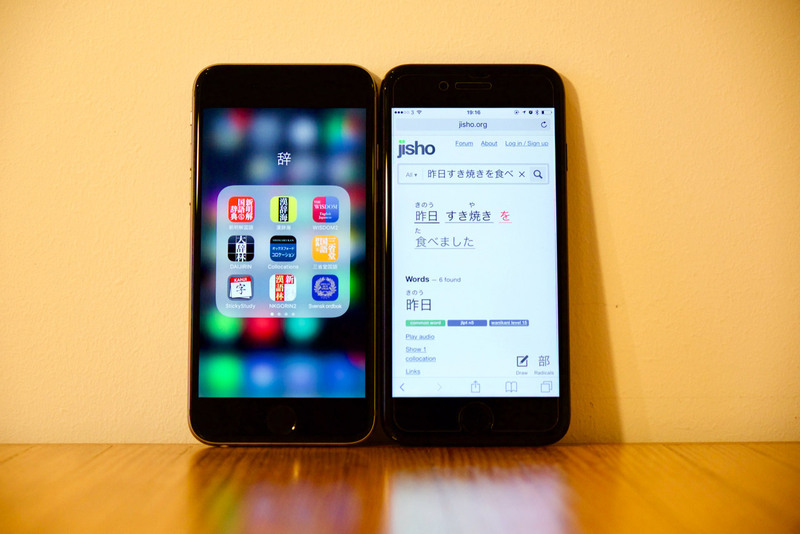 They make high quality iOS apps that are well-designed with great feature sets, including kanji handwriting recognition and the ability to drag-select words to jump to their definition. If you have more than one of their apps installed, searching in any of their apps will give you buttons to search the other 物書堂 dictionaries for that word! They have more apps than the ones I listed here and I highly recommend checking out their full catalog. The following dictionaries focus more on narrow parts of the language than the ones we've covered so far. They're great for digging deeper into a particular area like kanji or increasing vocabulary. These are all physical book dictionaries, but some of them are also available as apps too. The app market is constantly changing, so if one of these books looks interesting to you make sure to check your app store to see if a digital version was recently released. The author of this dictionary, Shirakawa Shizuka 白川静（しらかわしずか）, was a well-known kanji scholar who wrote several books targeted at kanji enthusiasts. And even better, it's intended for Japanese middle and high schoolers so upper intermediate Japanese learners can benefit too. It works as a regular kanji dictionary for the Jōyō kanji; it has stroke counts, readings, meanings and example uses. But what sets it apart is the entries focus heavily on the origin and development of the meaning of the kanji. The explanations can be hard to understand at times, but if you're a kanji maniac, it's a very rewarding book. The author of this dictionary, Shirakawa Shizuka, was a well-known kanji scholar who wrote several books targeted at kanji enthusiasts. It also includes images of the kanji in oracle bone script, bronze script, and great and small seal script, to show how the characters looked early on. Oracle bone script is the earliest known form of Chinese writing, done on turtle shells and animal bones. This developed into bronze script, inscriptions on bronze ware, and great and small seal script, the latter of the first attempt at standardizing Chinese characters. When I come across a kanji I can't remember very well, I look it up here to get a sense of how that kanji came to be, to aid memorization. It's also an absolutely beautiful book with top notch typesetting and layout. I should note the copy I have is the first edition, which only covers the original 1,945 Jōyō kanji. 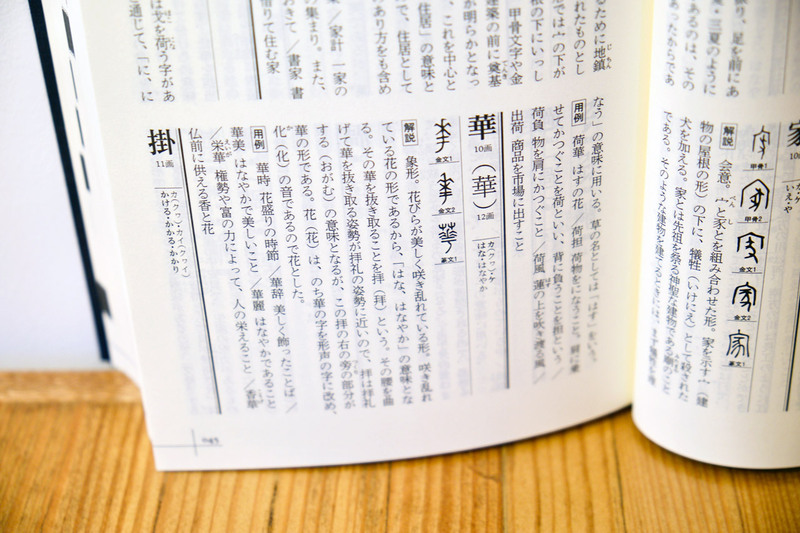 But the link above is for the 2012 second edition which covers the new Jōyō kanji list of 2,136 characters. Nihongo Kougo Hyougen Jiten 日本語口語表現辞典（にほんごこうごひょうげんじてん）, or if you prefer the English title Kenkyusha's Dictionary of Japanese Colloquial Expressions, is a terrific book for looking up things that might not be well explained, or don't appear at all in regular dictionaries. It covers discourse markers like だよね and でしょ？, phrases like kotokakanai 事欠かない（ことか　）, and colloquial versions of regular words like ふわーっと. It only has 3,000 headwords, but what it lacks in quantity it makes up in the quality of entries. For example, I tried looking up 事欠かない in several 国語 Japanese dictionaries, and Jisho. The Japanese dictionaries didn't list it at all, and Jisho only defines it as "having an abundance". In 日本語口語表現辞典 you get a long entry that includes usage instructions, synonyms, a thorough explanation, writing variations, and even an example dialogue! The entries are also clearly laid out with nice typography. If I had infinite time, this is how thorough I'd like Jisho to be. 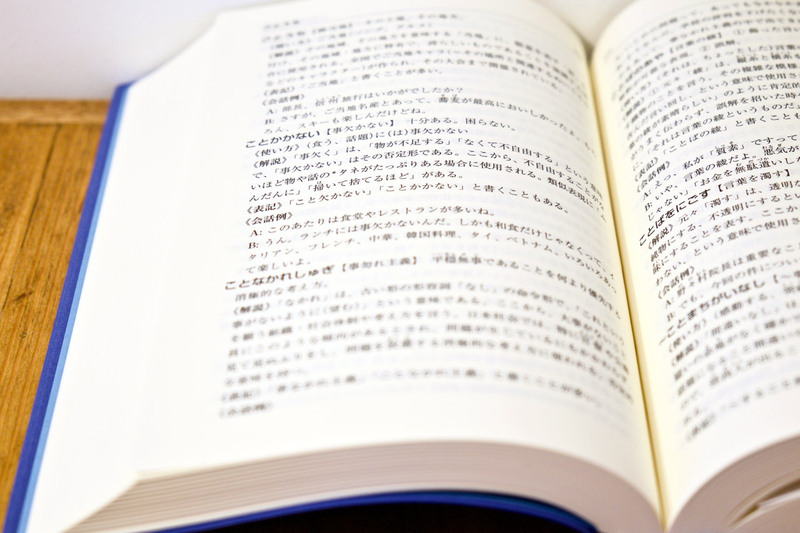 The authors intended this book for both learners and native speakers, so it's written in easy-to-understand Japanese with furigana on some of the more obscure words. This is one of those dictionaries I love to just pick up and browse through. You never know what interesting words you'll come across! Are you a news buff, constantly scouring the newspaper and tuning in to broadcasts? Then I recommend the Gendaiyougo No Kisochishiki 2017 現代用語の基礎知識２０１７（げんだいようご　きそちしき　）. But be warned, it's a behemoth. The 2014 edition I have on my bookshelf weighs 1.5 kg (3.3 lbs) and has over 1,500 pages! But in this massive tome you'll find thorough explanations of old and new words, and concepts that come up in news and media, divided into sections like politics, science, sports, and culture (both pop and regular). The publisher is the same company that runs the shingo ryuukougotaishou 新語・流行語大賞（しんご・りゅうこうごたいしょう） "Word of the Year" award, so they have their finger on the pulse of the world of words. In this massive tome you'll find thorough explanations of old and new words, and concepts that come up in news and media, divided into sections like politics, science, sports, and culture. Having this on-hand when reading or watching the news can be a great way to gain a deeper understanding of the topic. It's also just plain fun to browse through and learn what's hot in Japan. 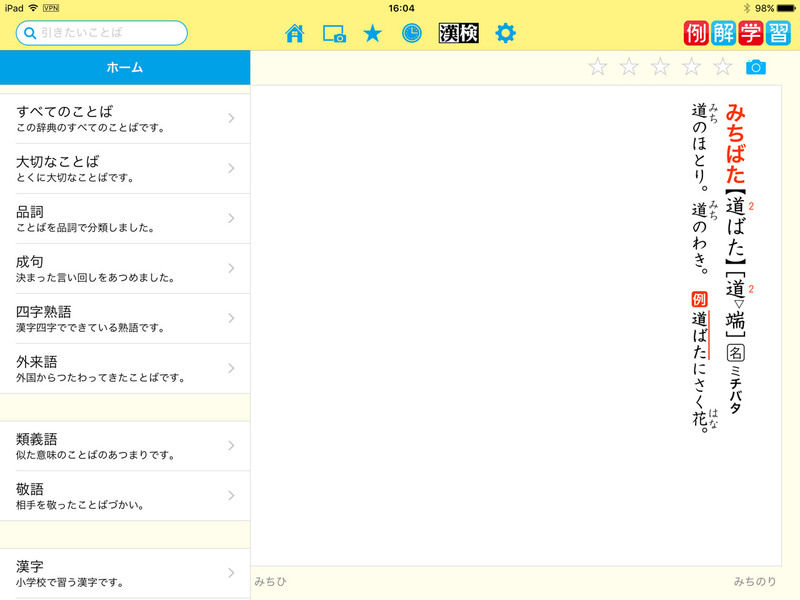 For example, in the photo above you can see how they're explaining words associated with the LINE messaging service. If you want something that won't break your back when you pick it up, do a search for 時事用語 to find similar titles that explain current words. Or just get the app. This is a bit of an odd thesaurus, but I love it for just that reason. It takes words that are close in meaning and tries to explain the subtle differences using plain language, and examples of how one word can fit in one sentence but not another. And here is the quirky part: it also has Venn-esque diagrams which don't actually convey the nuances of the words. Nevermind that though. Dictionaries that try out new ideas are always interesting in my book! It doesn't have a ton of headwords, but each set of definitions gets a full page so the entries it does have are explained thoroughly. 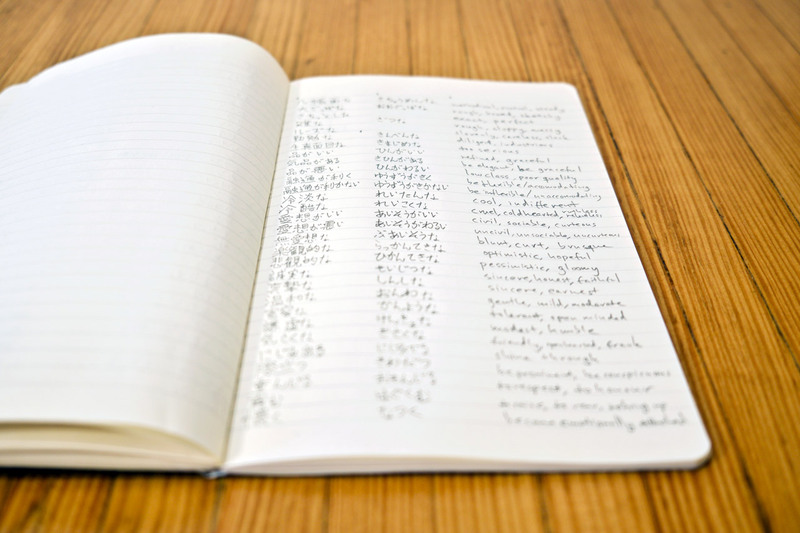 It's great for Japanese learners who want to improve their writing with a larger vocabulary. There is also a similar Japanese-English dictionary that's more suited for the early intermediate student – Kodansha's Effective Japanese Usage Dictionary (Shinsouban Nihongo Gotsukaiwake Jiten 新装版 日本語使い分け辞典（しんそうばん にほんごつかいわけじてん）). The wonderful thing about the Japanese language is that it's spoken by enough people to support a healthy market for quirky and fun dictionaries. Here's a few examples from my bookshelf. 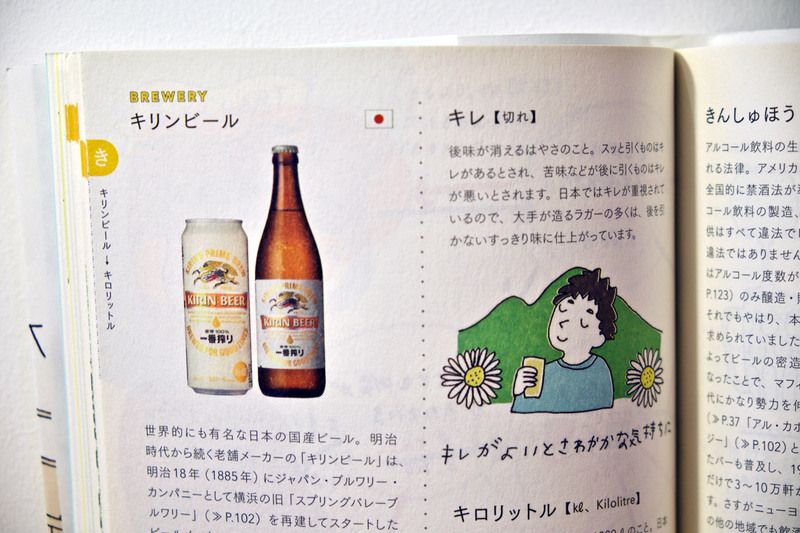 This is an amusing dictionary of all the words and concepts that go with beer. Beer breweries, beer ingredients, beer bars, beer countries, beer food, beer people, beer… you get the gist. These kinds of themed dictionaries are a super fun way to combine language learning with your other hobbies. Try putting +辞典 into Google and see if there's one for you! I've never lived in the 関西（かんさい） region and I've never studied 関西弁（かんさいべん）, but still I couldn't resist buying this charming dictionary. It's very simple – each Kansai dialect headword is explained with a cute illustration and the standard Japanese translation of the word. Not exhaustive, but definitely a fun read if you're headed to Osaka for some かしわ ( 鶏肉（とりにく）, in standard Japanese). I love that publishers have the guts to produce books like this, and do something fun and interesting with the traditional dictionary concept. If you want a more serious dictionary of Japanese dialects, then Goo has 三省堂's Zenkokuhougen Jiten 全国方言辞典（ぜんこくほうげんじてん）. Jisho also includes a few dialectal words and meanings. Search for "dialect" on the Jisho about page to find tags for the more widely-used Japanese dialects. 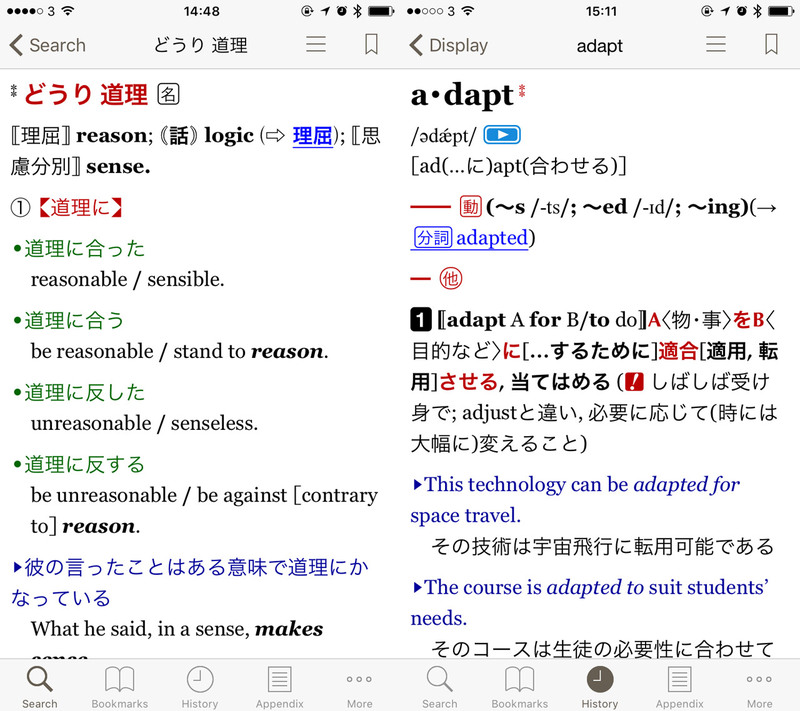 I love the idea behind this Japanese dictionary! 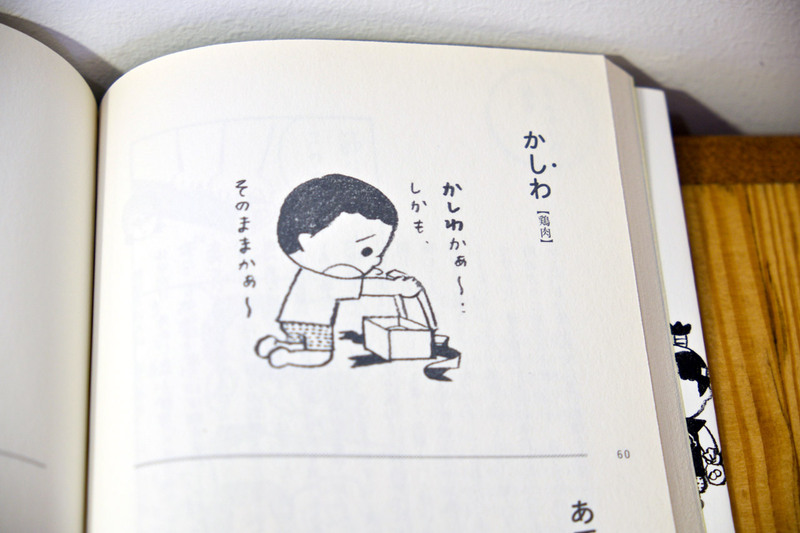 As a marketing campaign for the meikyoukokugo jiten keitaihan 明鏡国語辞典（めいきょうこくごじてん） 携帯版（けいたいばん）, the publisher asked people to send in words and definitions for a "peoples' dictionary." And this is the amusing result. It's a not-quite-so-serious dictionary that contains 1,300 words that are either too new, too niche, or for whatever reason don't make it into regular dictionaries. It's a not-quite-so-serious dictionary that contains 1,300 words that are either too new, too niche, or for whatever reason don't make it into regular dictionaries. The words are divided into sections like wakamono 若者（わかもの）のことば (young people's words) and ネット・メールのことば (Internet and email words). The words are clearly explained and come with example sentences. There are even details about the person who suggested the word (presumably to tell you what kind of context you could use the word in). The nature of words like these is that many of them disappear just as quickly as they come about, so you might not want to memorize them all. But it's a great example of how people play with language and it can motivate you to try playing around with language yourself. That's it! Hopefully I've shown you dictionaries can be a lot of fun, not just drab lists of words that you're forced to use when you need to look something up. Each dictionary has its own style and personality, and can be fun to flip through as you explore the language. If you're looking for even more Japanese dictionaries than I've listed here, I have a few more quick recommendations for you. There are two other companies that make dictionary apps for iOS and Android: Logovista and BIGLOBE. I have tried some of Logovista's apps and they are generally well made, but not as polished as most of the dictionaries on this list. If you're short on cash, there are two sites that publish various Japanese dictionaries for free, Weblio and Kotobank. Explore them to see if their dictionaries meet your needs before splurging on a paid app or book. Another free dictionary is eijirou 英辞郎（えいじろう） which has a ton of Japanese phrases that show how words are used in context.